When I was young we had this story in a picture book. 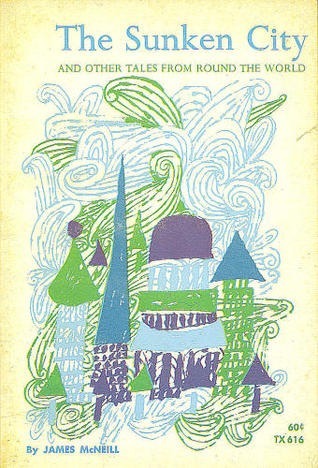 I’ve searched in vain on the Internet for images from that specific version (black woodcut prints with colors in the background) because I wanted to share its cover, but can’t find it. I’ve had to make do with an image that reminds me of the pose the fisherman took when asking the fish for gifts. Do you know this story? The fisherman catches a talking fish and lets it go. After his wife finds out she sends him back again and again to ask for ever grander gifts from the fish. I live in dread of being that wife: ungrateful, greedy, insatiable. (That’s one reason I don’t criticize the Librivox reader’s performance.) It’s so easy to become dissatisfied with life and then search for solace in something or somewhere else. It’s so easy to forget lessons learned in youth. Sometimes I am unhappy—I get into a state of chronic, low-grade satisfaction with my daily life. The usual remedies—scripture study, service, prayers for guidance—help, but don’t resolve my condition. I can’t muster lasting enthusiasm for anything. But I keep trying (what else is there to do? )—and little by little, help comes. This story today was a big help. In my dissatisfaction I’ve been complainy, whiny, critical. I’ve thought some other thing, some other place, some other occupation might make me happier. But I feel to say, like Dorothy Gale, if I can’t find happiness in my own backyard I never really lost it in the first place. Another stick-to-my-ribs childhood favorite is The King, the Mice, and the Cheese. There’s so much I’ve learned from this simple story. It comes back to me over and over and over. The lesson is a form of if it ain’t broke, don’t fix it. But it covers those things we think are broke. We often go to extraordinary lengths to try making something that seems intolerable go away, only to find that our efforts make it worse and more costly to deal with. 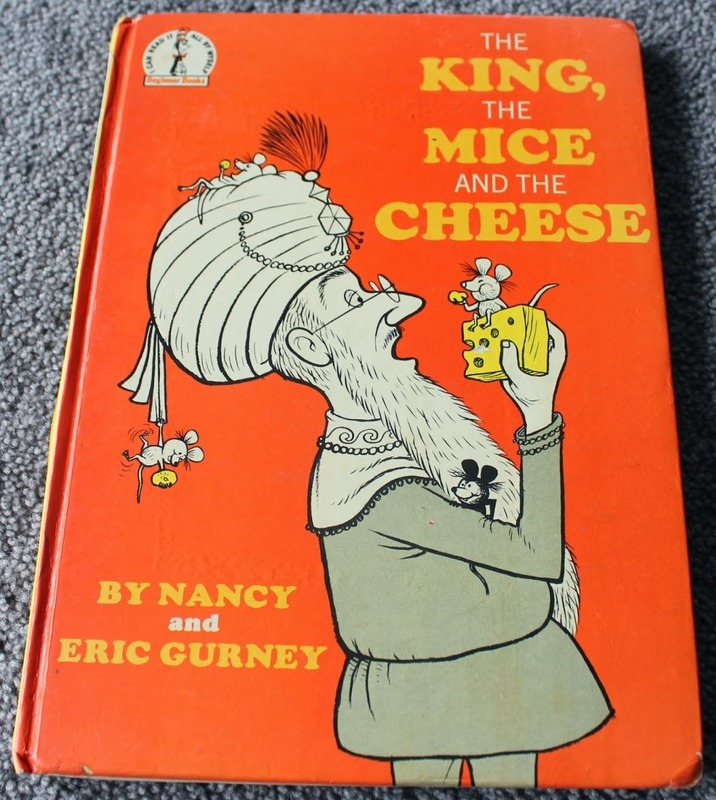 In this story, a king who loves cheese has a palace infested with mice. He brings in cats to chase off the mice, dogs to chase away the cats, lions and tigers to get rid of the dogs, and then elephants. The palace is a wreck. The king is desperate. Finally he brings the mice back to scare off the elephants. Then he teaches the mice table manners and they all share the cheese in peace and harmony. The two stories go together in my mind because lately I’ve been wanting out! Maybe a change of scene (as in moving away) would help. I’ve allowed myself to become pretty miserable (though that wasn’t my intent). Visions of cats, dogs, tigers, and elephants have been crashing through my mind, but I didn’t pin them down till I listened to The Fisherman and His Wife (and felt very much like that wife—wanting a bigger house in a better location). Nothing made me think moving was really the best solution to my problems, but I still didn’t want to have them, and didn’t want the work of teaching my pesky mouse problems manners. Solution? It begins with gratitude and bringing myself figuratively home instead of casting about for something-somewhere else. The solution is here in my yard—fix yourself—and I’ve overlooked it. Lastly, today’s thoughts bring me to another of my favorite fairy tale teachers: The Laughing Merman from The Sunken City—another resident in the Wall Family library. It’s a very short story—less than four pages—about a fisherman who catches a merman in his net and won’t let him go. When the man gets home, he kicks his dog who has come to greet him, kisses his wife, and also trips over a large half-buried rock. Each time these things happen the merman laughs, which irritates the man. In exchange for his freedom, the merman promises to explain his mirth, and the man agrees. 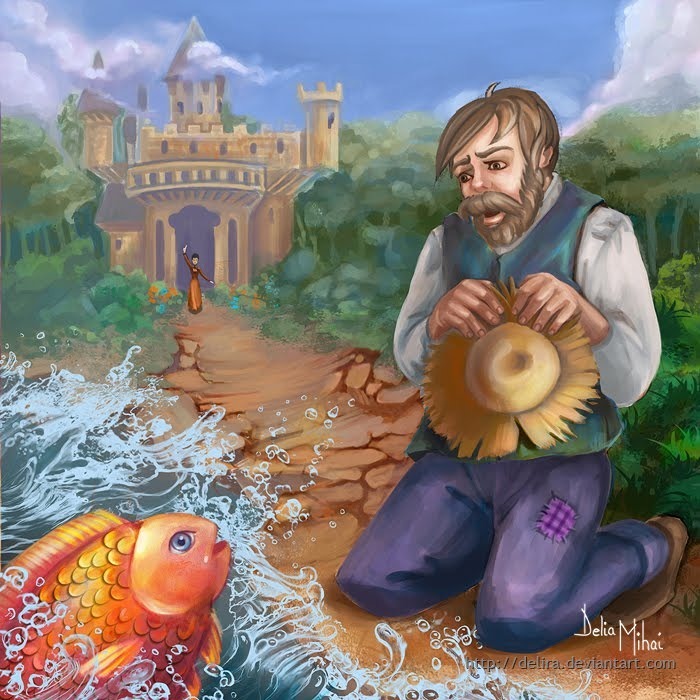 The merman laughed at the foolish man because he kicked his faithful companion, kissed his unfaithful one, and cursed a stone that covered a buried treasure. It’s an old lesson, but still fresh: look at things from a different perspective. Misery is a bad habit and a poor choice, but may turn to joy as soon as we allow ourselves to become enlightened.